The hardworking team behind the Claremore Mountain Bike Trail still claim they're the best kept secret in their own town. Rory Peterson and David Steward were on hand to provide the county commissioners with an update on both the trail system and the recent Shoreline Shred race event during the commissioner meeting Monday. Commissioner Ron Burrows introduced the subject saying, "The county has participated in assisting them in enhancing a quality of life feature that is really gaining some traction throughout the region and even bordering states." "We recently had a race, the Shoreline Shred, an annual race on the Tour De'Dirt series. 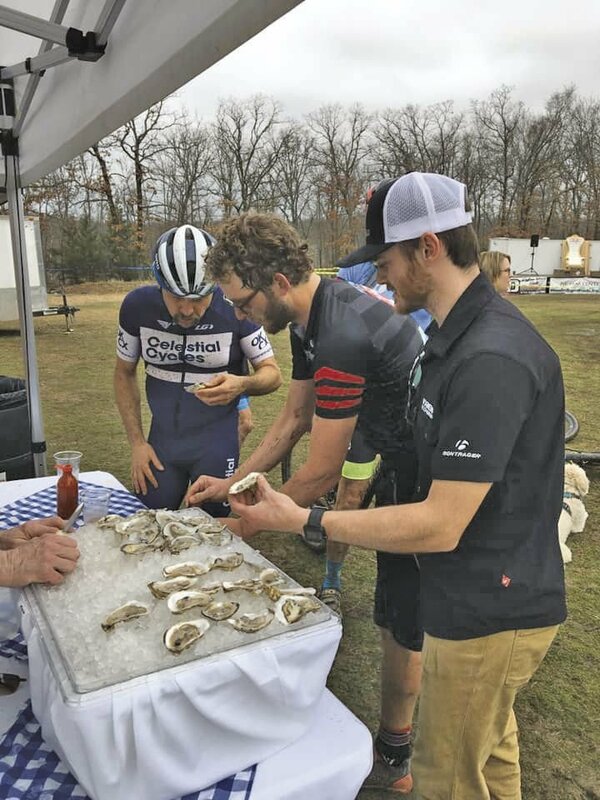 There were over 146 riders at the race….It was a little bit lower turnout this year due to the weather but they will be out next year and make it bigger and better," Peterson said. Steward said racers hailed from over nine states, spanning from Washington to Florida. "The 146 archers list their hometown. So, I did some quick math and Googled hometown to Claremore. And just to get there, they drove 16,365 miles to come race. And that's just one way," Steward said. The duo said the event boasted a 30-foot big screen and live footage streamed from five areas on the trail. Over 400 barbecue sandwiches were donated by Billy Sims Barbecue and not one was left at the end of the event. They shared that local sponsors spent over $5,000 to put the race on, between trophies, media, food, entertainment and other features. The night before the Shred, racers were treated to a live concert organized by Musician's Haven. Shoreline Shred's success in Claremore illustrates just how popular the ever-growing trail has become. On any given weekend, Peterson said there's an average of 60 to 100 riders enjoying the trail, most of them coming in from out of town. "The Walton Family Foundation over the last 10 years has spent $76 million on bike trail infrastructure and trail tourism. They're realizing this group of people will travel around the country to spend money riding bikes. They also did a study and over 10 yeas, they're return is about $137 million in the northwest arkansas region. What we're seeing in Claremore, on any given weekend, an average of 60 to 100 riders and most of them are not from Claremore. A lot of them wouldn't have come to Claremore but for this," Peterson. "And we're doing all of this with volunteer hours and money." Peterson added, "We're probably the best kept secret in our own town." The duo told the commissioners they will be getting together soon to iron out a master plan for the trail. Some things they know they want to include, though, are: more bridges, jumps and skills tests, more parking, drinking water, a restroom, and a kids' area. They said they also hope to connect the trail to the rest of the city and to the lark park area.